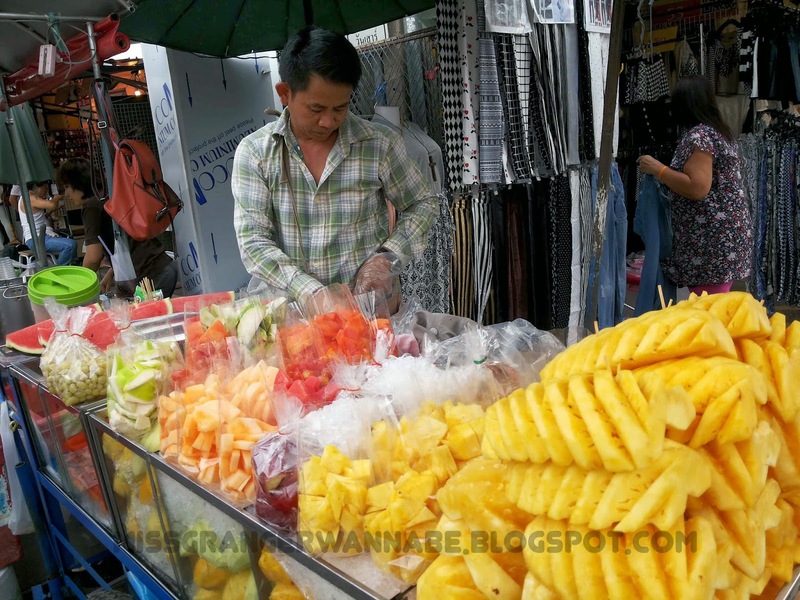 Chatuchak Market is not only remembered by the heaven of shopping. I also say that this place is heaven of hawker food. I think this is the only place that I ate a lot, since the rest of meal I had is from mall to junk food (blah!). That day was very hot. 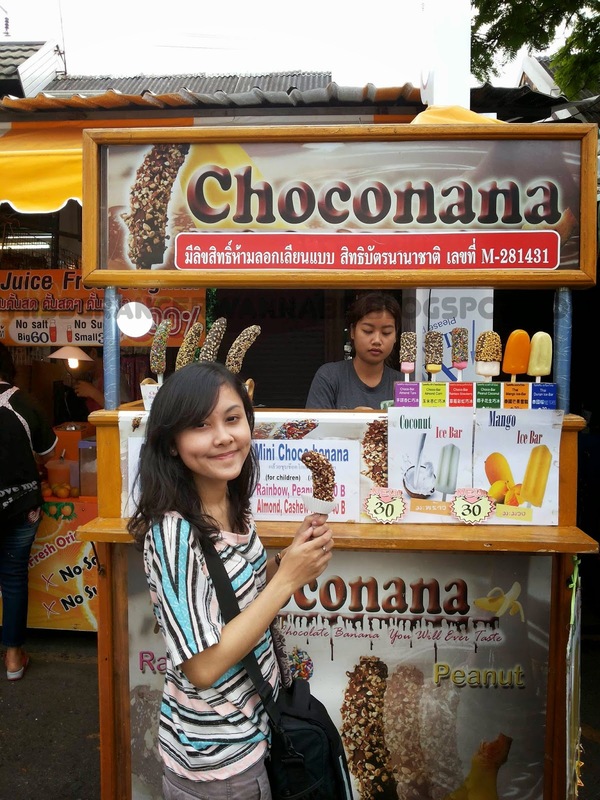 But it became heaven when I saw Choconana! 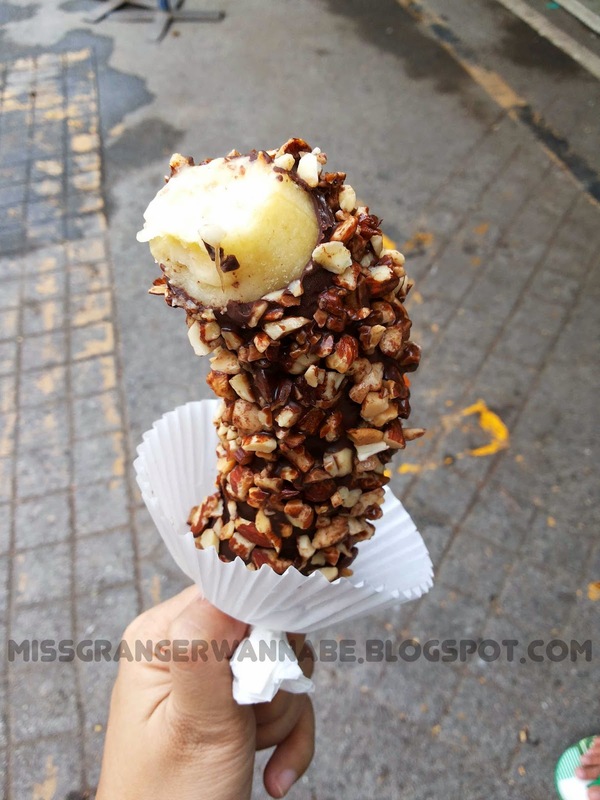 This is a dipped chocolate frozen banana with various topping. From Almond, Cashew Nut, Peanut, and Rainbow. It start from THB 35 – 45. My tummy is not satisfied just with one banana. 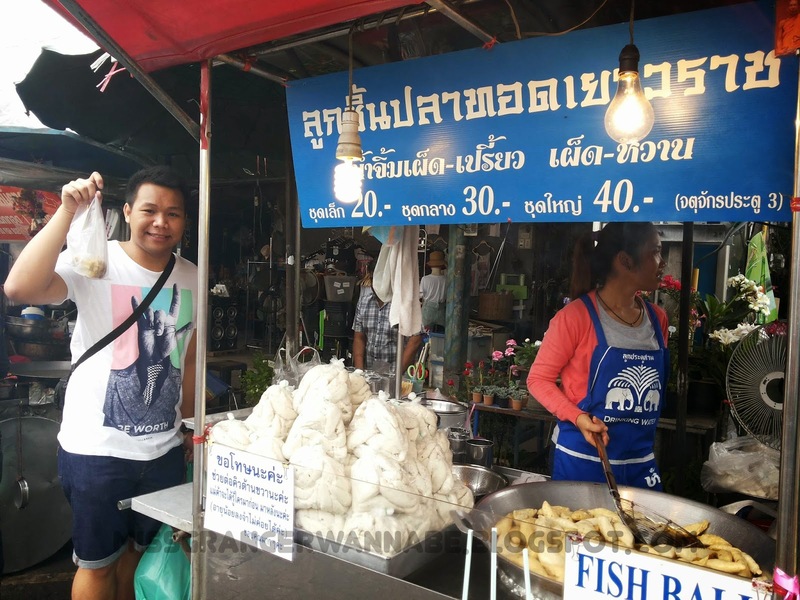 My friend, David found another interesting one, Fish Ball. And it’s not small size like meatball. It’s like Pempek (Palembang Traditional Food). The sauce is also interesting, I couldn’t describe it but it tastes so good. The price start from THB 20. Not enough with that, we also tried Fresh Cut Fruits. 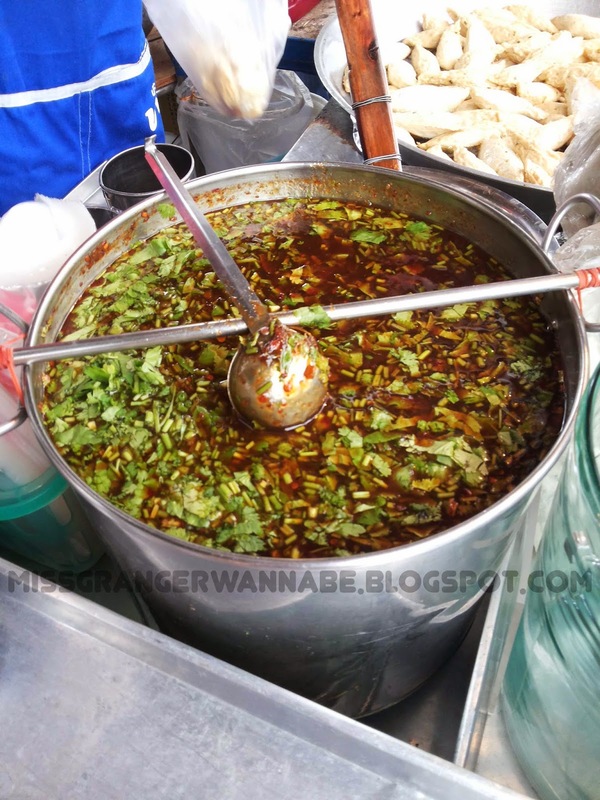 From the way I see of the sellers, it’s just the same like Tukang Rujak in Indonesia hihihihi 🙂 But it also tastes good. Ting tong! It’s 1 PM and it’s about lunch! So we found another restaurant in the middle of the market. Thank God it’s Halal. We ate at Saman Islam Restaurant. I met a lot of women in hijab was eating there. 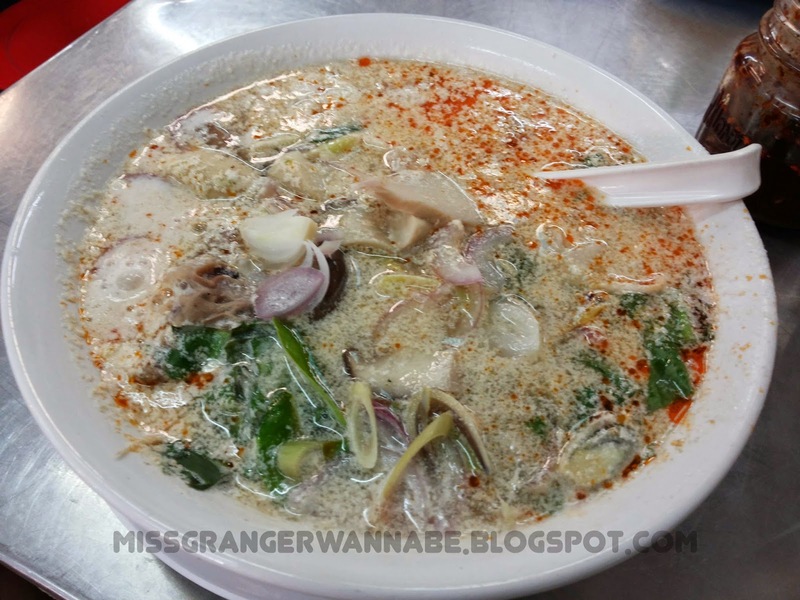 And I realized that they are from Indonesia 🙂 I ordered Tom Yum Goong for (approx.) THB 150. It’s a large bowl and served with a lot of meat. I could eat it sharing with my friends. Don’t forget to order the lemon tea.